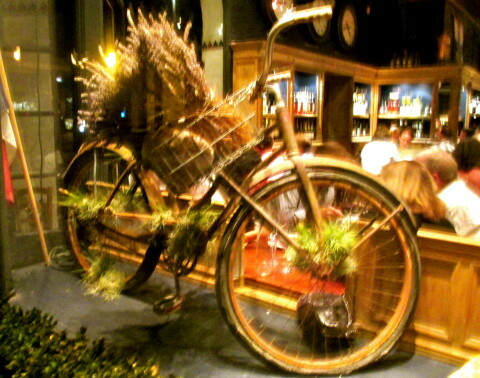 One of my favorite jaunts down the coast is Carmel-by-the -Sea. We were visiting for a wedding and had one day to ourselves to shop, run along the coast and grab one night’s dinner in town. 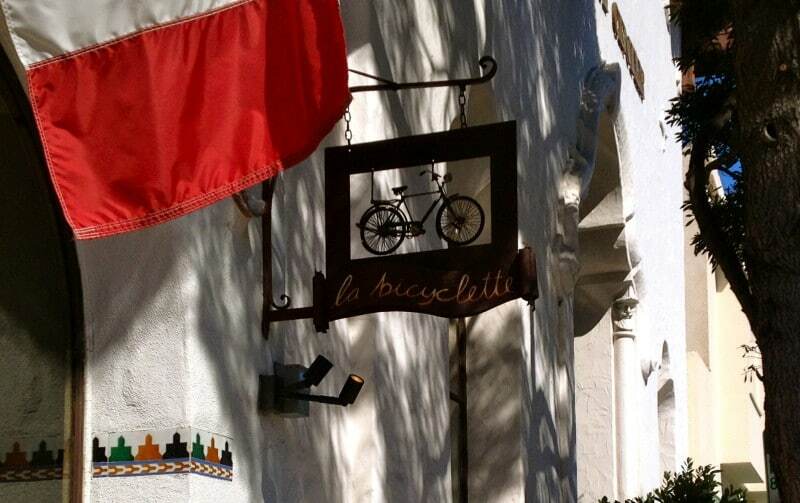 I guess I should have tried something new, but not wanting to risk disappointment, I again booked La Bicyclette. I know there are other restaurants that always please, like Casanova’s and Little Napoli’s, but I always leave those establishments feeling a little too “content”, but not at La Bicyclette, I can order the most fabulous fish dish with amazing flavors that always leaves me satisfied. The quaint interior has a rustic french charm but nothing too fancy. Ownership gets most everything right, from the little things like the wonderful the bread and butter service and casual ambiance to all those delicious flavors that you would expect in a special European cafe. We love it here and so will you!!! 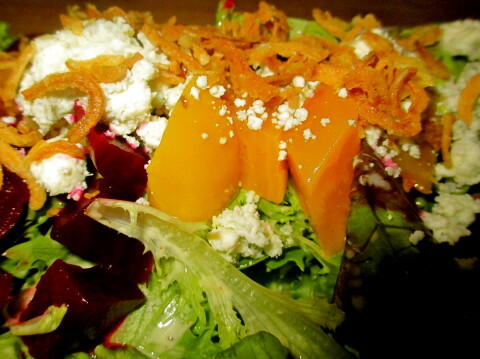 Petite greens, baby beets, Point Reyes blue cheese, crispy shallots & buttermilk dressing! 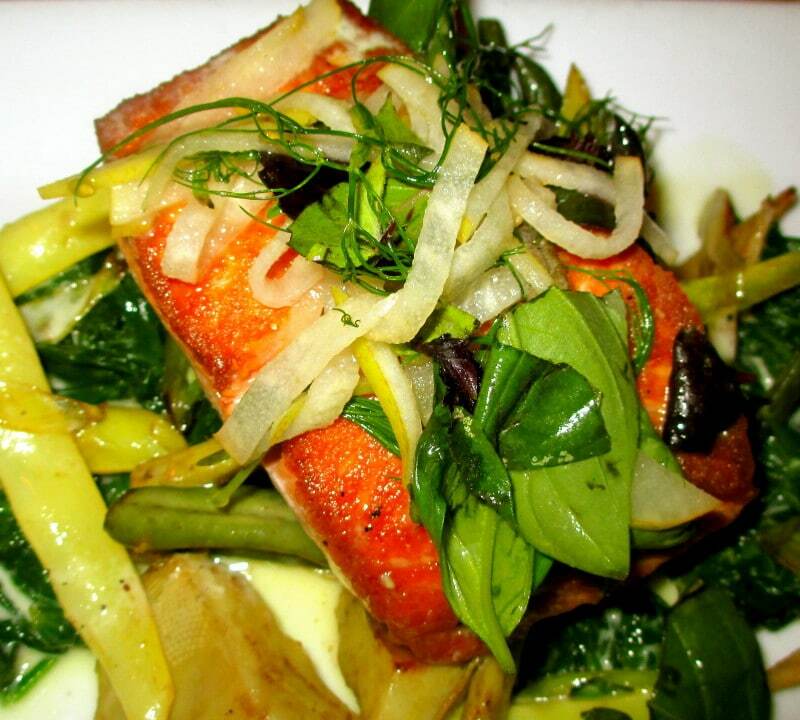 Wild Salmon, sun chokes, colored beans & an aioli summer sauce! Flour + Water-SF Restaurant: Pizza and Pasta at its Finest!!! I can’t wait to try this. Always end up at Casanova’s. Lovely post Pamela. Great photos too! Great Restaurant Pam the pizza is some of the best we have ever had. Great casual atmosphere! !